Innovative materials and technology have been at the heart of all presentations staged at the K trade show in Düsseldorf, the international flagship fair for the plastics and rubber industry. 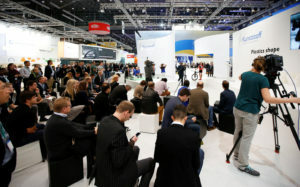 K 2019, which will take place between 16 and 23 October 2019, will also revolve around the key issues of circular economy, resource conservation and digitisation, all of which will be addressed at exhibition stands and by the accompanying programme. The special show, traditionally hosted alongside K 2019 under the known title of “Plastics shape the Future”, will illustrate how plastics can have a sustainable impact on our future, which developments have emerged today and which visions have the potential of becoming reality tomorrow. Centred on several topics, the seven-day event will offer expert discussions, kick-off speeches, entertaining presentations and exciting experiments. Explorations of economic and ecological aspects will also tackle problematic issues and provide solutions for discussion. The special show is a project that was initiated by the German plastics industry under the aegis of PlasticsEurope Deutschland e.V. and Messe Düsseldorf. 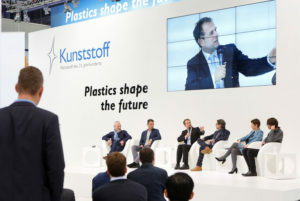 “Plastics shape the future“ promises to provide insights and previews for exhibitors and visitors of K 2019 as well as for the media and the interested public.